The 68 meter long pelagic fishing vessel Hardhaus arrived at Orskov Yard on 17 September 2018, after a severe incident, where sea water filled the engine room, RSW machinery compartment, bow thruster room and all the way up to the cabins. 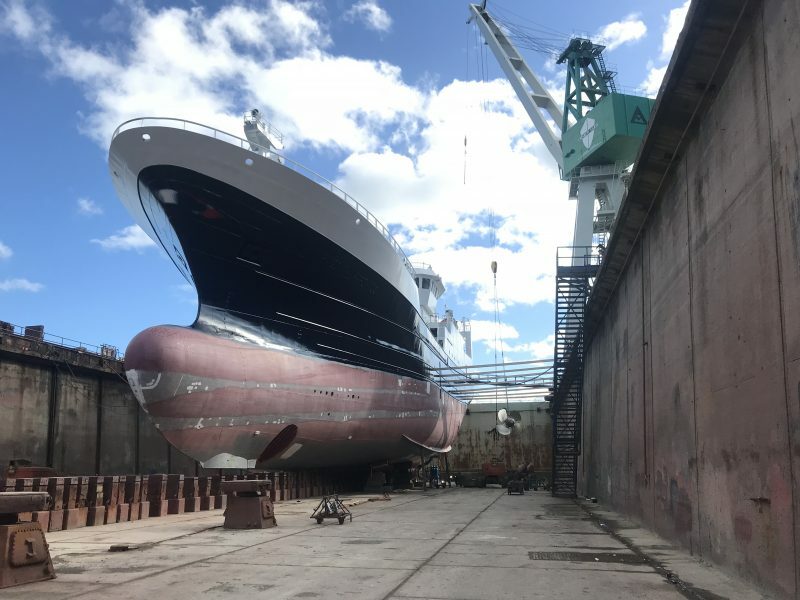 Upon arrival at Orskov Yard, Hardhaus was drydocked, steel damages repaired, propeller system overhauled and sonar replaced. At the same time, the engine room, cabins, galley and mess room were stripped. 2 weeks after arrival, Hardhaus was undocked and placed at our quay, where equipment such as the main engine, reduction gear, auxiliary engines, shaft generator, electric motors, pumps, RSW machinery and control panels were overhauled or replaced, cables exchanged and new crew cabins installed. Currently, we are re-starting all equipment, cleaning and painting affected areas and preparing Hardhaus for sea trial end November. Departure from Frederikshavn is planned for mid-December, enabling Hardhaus to be back on the fishing grounds just after New Year. Hardhaus is the 15th fishing vessel visiting Orskov Yard this year, for major up-grade or repair work.